iHyper is used to generate a Markdown or HTML Hyperlink for use in Email, Messages, Drafts 4 or other applications. iHyper can be run by selecting the iHyper Icon, Today Widget or by the use of a URL Scheme (ihyper://). 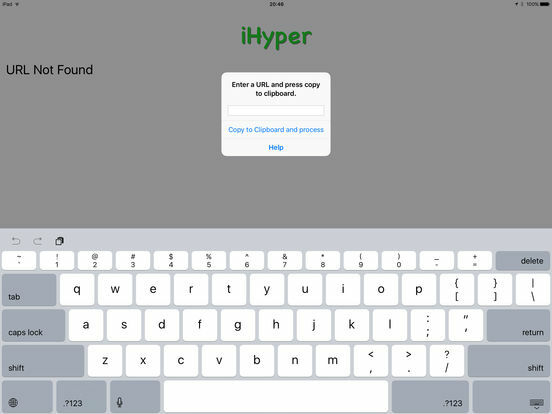 When iHyper is run it will attempt to use the clipboard contents as it's input URL. 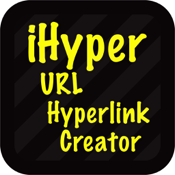 If iHyper does not find a valid URL on the clipboard it will ask you to supply a URL for processing. Most standard browser URL shortcuts should work. 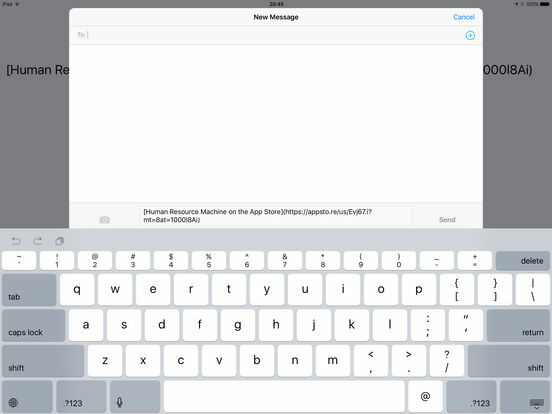 For example MacSparky.com works just as well as the more formal http://www.MacSparky.com does. iHyper will validate the URL contained on the clipboard by attempting to connect to it. If a connection is successful, iHyper will capture the requested page's title and then create and display a link in Markdown format. The displayed link is ready for use in either Markdown or HTML form. 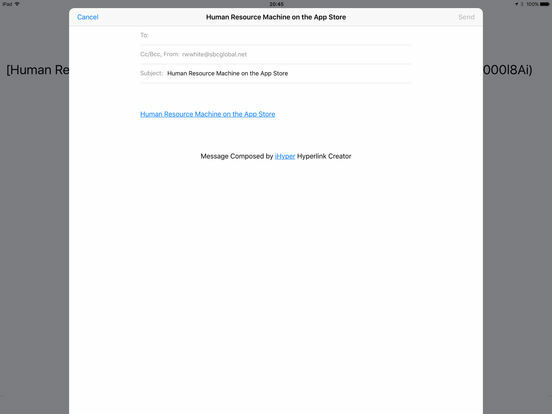 You can share iHyper built Markdown URL Links directly with the Messages, Email, or Drafts 4 apps or you can transfer the links into other applications via the clipboard.